If your preschool-aged child's speech and language development lag behind her peers, you may wonder if she needs therapy to catch up. The differences in speech between your child and her peers may seem more pronounced as she increasingly interacts with them in a formal learning environment. Naturally, most parents are concerned about their children's development. But as with other areas of development, children's speech and language skills advance at different rates. While it is important to watch for delays in your child's speech and language development, it is also important to remember that a lag in communication skills does not necessarily mean a speech or language disability is inevitable. Specific speech and language skills should be thought of as occurring within a range of time rather than by exact ages. However, there are common behaviors that may be signs of potential speech and language delays that you can watch out for. For instance, does your child's speech seem very different from other children in her preschool? Do teachers and other children seem to have difficulty understanding your child? Is your child easily frustrated with learning and play activities that involve talking to others, listening or following directions? Does your child seem inattentive to others and not interested in classroom activities or play with others? Children who find speaking challenging may also become angry, bite or hit other children rather than using their words. Children who point or grab at objects or people and make noises to indicate their responses rather than calling objects or people by their names also show signs of having a language delay. The same goes for children who have difficulty following instructions or directions involving one or two steps. Observe your child. Does he follow activities by watching others before trying them himself? Then, he may have a speech problem. In some instances, you can also spot possible signs of speech and language delays by paying close attention to what your child says and how she says it. Speaking mostly in single words or short phrases rather than speaking in full sentences may be a concern. For example, a preschool child with delays may make grasping gestures toward a toy truck and say, "truck" rather than say, "I want the truck." 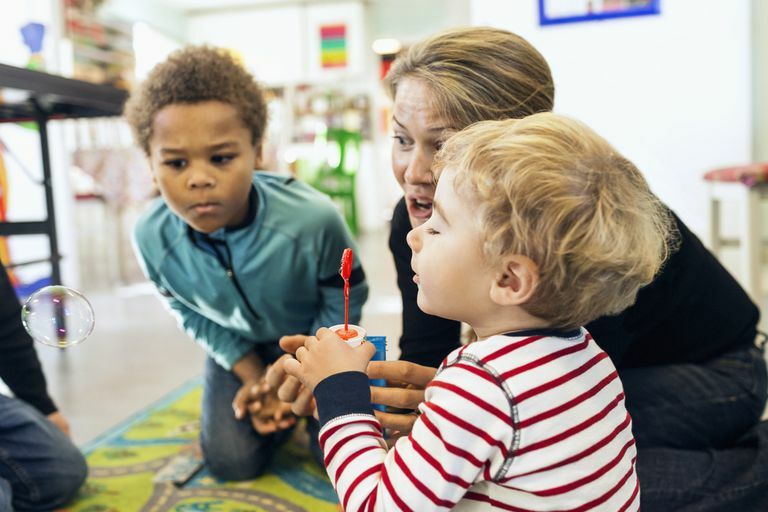 Children with speech delays and possible hearing concerns may leave off beginning sounds of words or slur over words with more than one syllable. They may substitute sounds that are similar to the right sound but are not the correct sound. A child may say "toof" instead of tooth or "parm" instead of "farm." These types of speech differences are sometimes a result of frequent middle ear infections during early language development. In other instances, these kinds of speech errors may be caused by lack of coordination of the tongue and muscles of the child's mouth. Speech pathologists refer to this as oral motor coordination. In either case, speech therapy can usually improve speech in these conditions. If you suspect your preschooler has a language delay, talk to his pediatrician about the possibility of getting him evaluated.